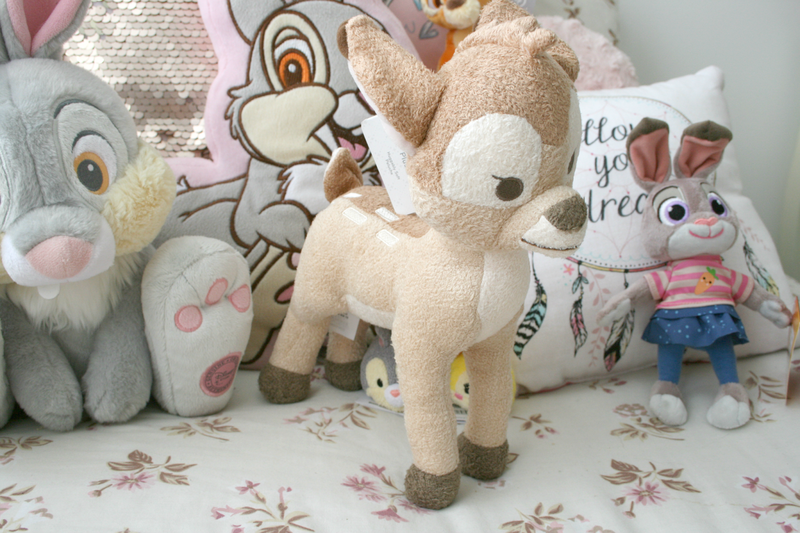 So Disneystore online finally got their Bambi plush back in stock so I decided it was finally time to add him to my bed setup. Again the timing couldn't have been any better as he was also reduced down to £5! How adorable is he though. 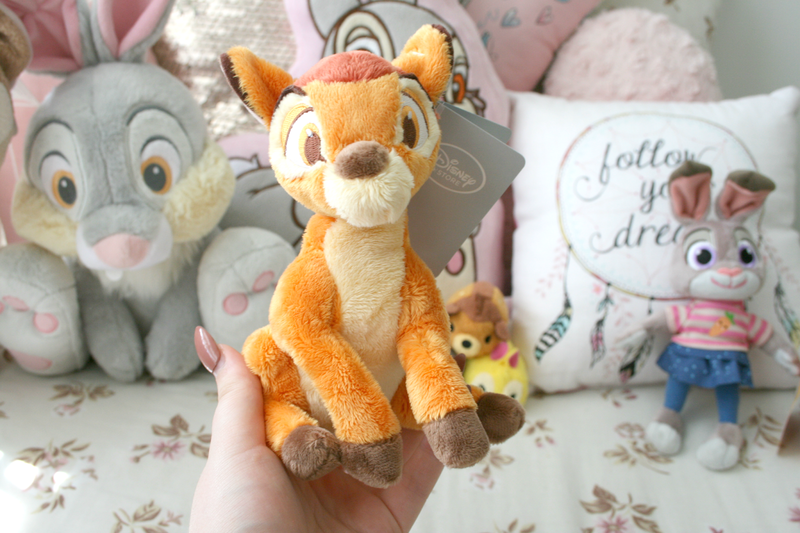 When I was ordering I knew he'd be quite small and so off I went on the hunt for a bigger one to go beside my Thumper plush, I mean I couldn't not have the same amount of Bambi's as Thumpers! 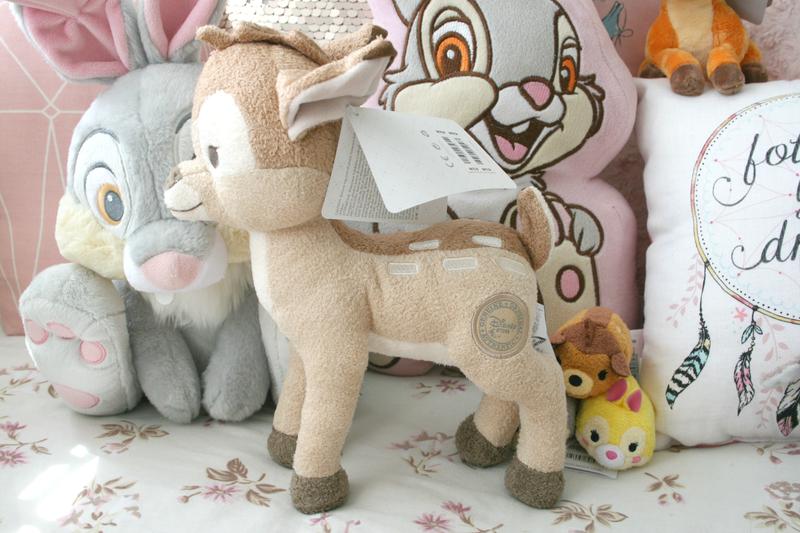 This is legit my thought process while scrolling through the website, which lead me onto the next item put into my basket..
As soon as I seen this Bambi plush I put him straight into my basket without looking at the price or anything. I had never seen him before and so I wanted to make sure I got him and he wasn't out of stock before I bought him, like the panic was real people! 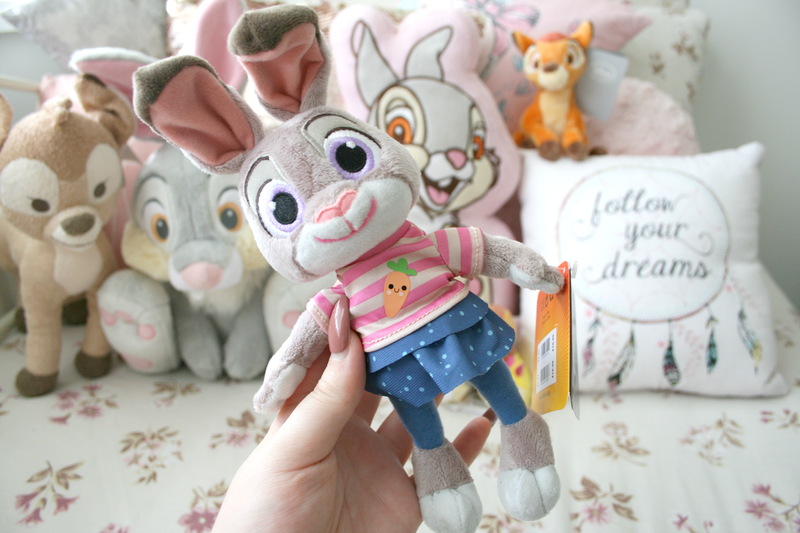 So obviously I was most excited about receiving this fellow as I knew he'd go beside the Thumper plush and be the same size. I did slightly wonder why he was so light in colour but never thought anymore of it. So when the box arrived he was the first thing I pulled out and instead of the usual Disney tag being attached to him....A Disney Baby tag was attached to him. Yes I bought a baby's teddy but honestly I'm so glad I got him because he's so soft and cuddly and just overall adorable. So I'm not one for Christmas, I'm more of a Halloween kind of person. 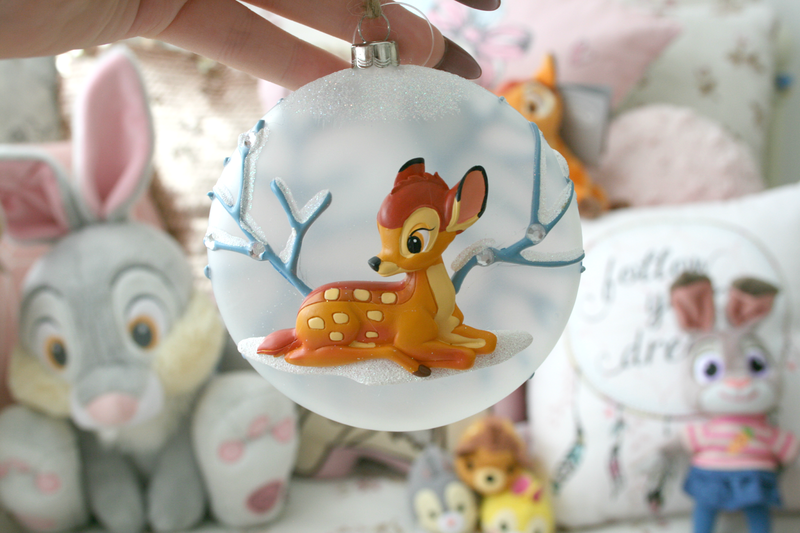 However when I seen that Disney had started to release their Christmas decorations I had to have a look and when I spotted this Bambi one I knew I had to have it. Our tree is just Disney ornaments with TinkerBell being our star on top, and although it already leans to the side bit because there is so many decorations on it I thought sure whats one more!? I'm actually so surprised at the size of this, it's the size of the palm of my hand meaning you can bet this is going to be in the centre of the tree this year! Okay so I thought whats 2 more decorations to our already over packed tree, but I obviously couldn't buy a Bambi ornament and not a Thumper one. Although we already have an ornament of both for the tree these were too pretty to pass on. The Thumper one is slightly smaller in size but still as pretty. After ordering these I was so gutted because they then released a Flower bauble so I'm definitely going to have to place another order because I also need her! 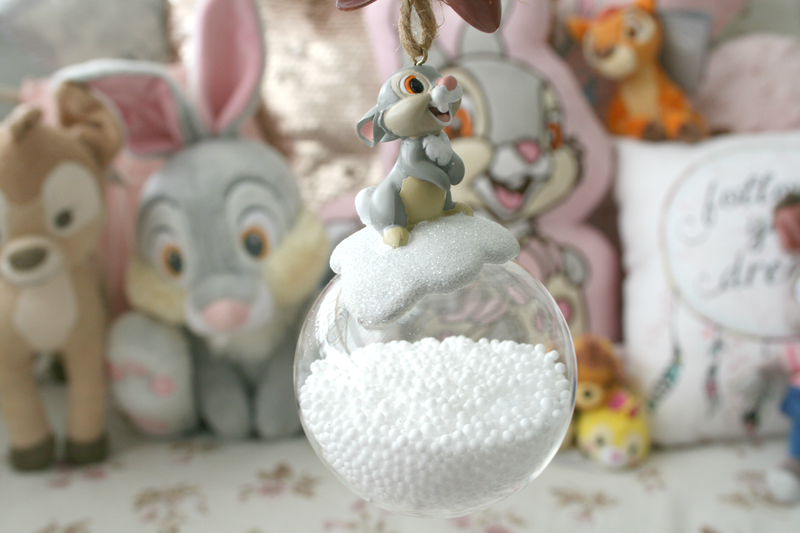 Again I'm not one for Christmas but slap one of the Bambi characters on a christmas decoration and you know I'll buy it. 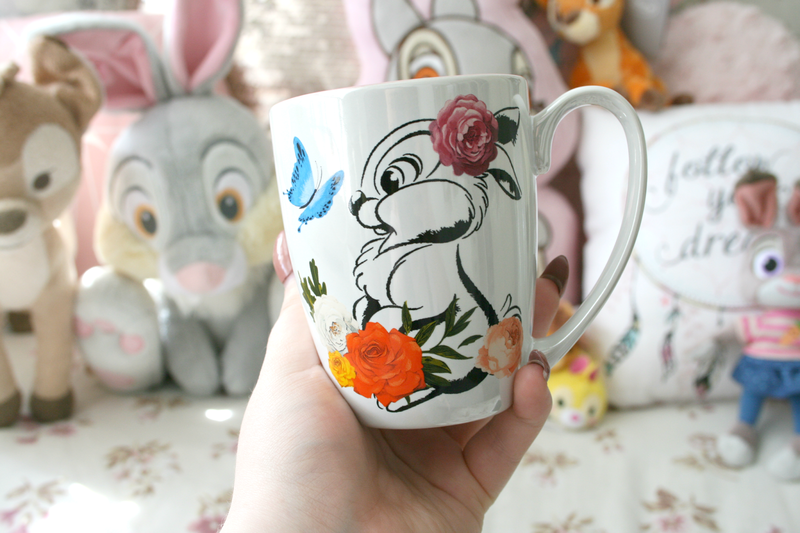 Finally I picked up a Spring Time Thumper mug. I have had my eye on this for the longest time but it was always out of stock online so I was so happy when I realised it was back in stock when I was placing my order. It's honestly one of the prettiest mugs I've seen and its a pearl white in colour which just makes it so pretty too look at. It's also a really nice shaped mug, I'm not the only one who likes certain shaped mugs am I? And thats everything I ordered myself this time around. Of course I could have added loads of other things to my basket but I thought I'd better be good and not spend too much, although for these few things I did get it cost almost €83.00 after exchange rates and delivery charges...a tad bit mad! 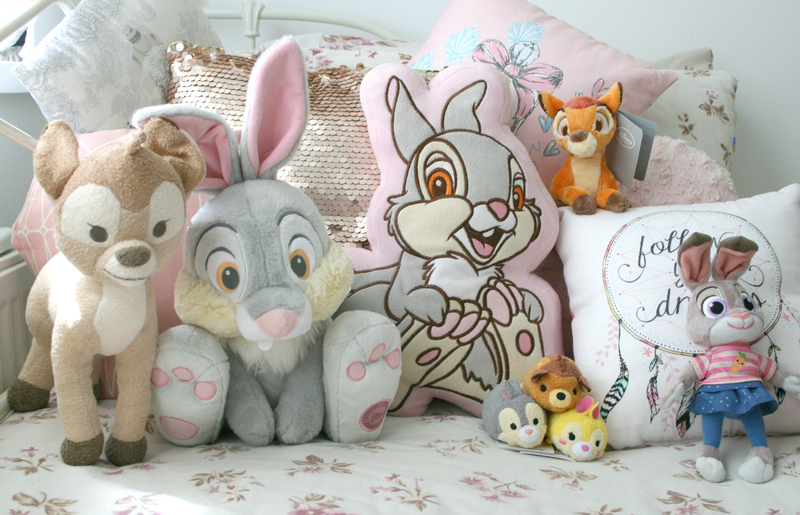 Are you as obsessed with everything in the Disney Store at the moment as I am? OMG those are all just toooo cute. How do you manage to get up and leave the room....like ever?!?!? What a lovely haul! Now I want to get spendy on the disney store - oops! You had to post this information was really superb you talk about nice information.A lot of people read your sites definitely many people like this information.